This classic style rectangular dining table will always be a fresh addition to your outdoor space. Its teak look is casual yet contemporary. This sling swivel rocker chair has casual contemporary style and comfort with its teak look frame. The gray finish offers contrast to the swivel base. The stationary sling arm chairs feature a modern teak look frame. 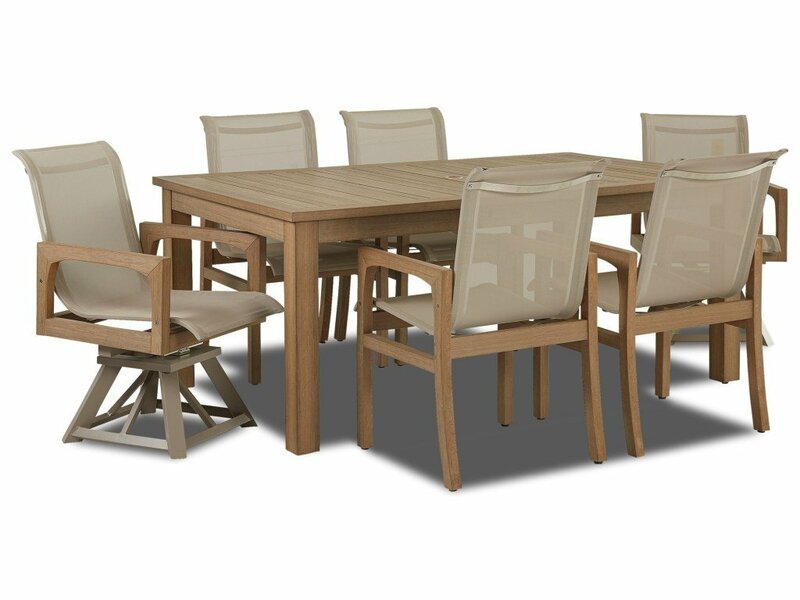 W8502 DRT73 Outdoor 73" x 42" Rect Dining Table 1 42" 73" 30"
W8502 SRDC Swivel Rocker Dining Chair 2 27" 22" 36"
W8502 DRC Set of 2 Sling Dining Chairs 2 28" 22" 37"